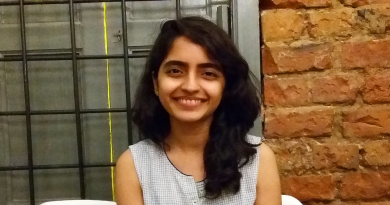 About the author: Sanjana Gopal, a student of Loreto College, Kolkata, recounts how an internship redefined her as a professional writer and a travel enthusiast. I was in my third year of college. I had some time on my hands and hadn’t done any internships till then. I always like having new experiences so decided to look for one. Internshala was my first choice, mostly because it was the only one I knew about, thanks to Facebook. I was interested in writing so I searched for opportunities along those lines and applied to ones that fit my requirement. Being a full-time student, I had applied for virtual internships and got shortlisted by Holidify, a travel company. While applying for Holidify, I made sure to express my affinity for travelling and also mentioned that despite having no prior experience in content writing, I had kept in touch with my literary side by writing articles for newspapers and various societies in college. After being shortlisted, I was asked to fill their application form which asked for basic details (such as name, contact number, address etc). It also required me to fill in the number of hours I could devote on a daily basis and the number of months I would be available for. Furthermore, inquiries about my past travel experiences were also made. Apart from that, I had to attach my CV and a writing sample. Once this was done, I was interviewed over the phone. All the questions were mostly regarding my previous writings. I spoke in detail about the various topics I had written on such as social media, GST, and so on. Next, I was briefed about the responsibilities that I would have to shoulder. The entire procedure went off rather smoothly. I was selected for their international content project for a span of two months, during which my responsibilities included writing structured content for international destinations as well as writing well-researched blogs about special cuisines or nightlife of a city that would prove useful to travellers. In the course of my internship, I covered a number of Bhutanese destinations such as Bumthang and HaaValley and even wrote a few blog articles about particular specialities of Bhutan like the homestays in Haa and the local cuisine. I was given certain guidelines while generating content for these destinations. I realized I should research and write in such a manner as if I were planning to visit these places myself. Undertaking initial research about a place helped me understand its vibe and therefore helped in writing an introduction relevant to the audience. Another thing that I learnt was the importance of images as travellers often make decisions based on what appeals to them. Through this, I also mastered how to assimilate information, keep track of it, sort it into the required fields, and present the obtained information in the most useful, simple, and accessible form. I also picked up a few tips on dealing with content creation for travel-oriented projects. My assignments helped me learn a thing or two about avoiding common grammatical errors. I learnt how spending a little bit of time on punctuation, spelling, and formatting could go a long way in becoming a professional writer. They also gave me feedback on each assignment and told me to rework wherever necessary. What I liked about the company was that they were clear about what they wanted from each destination or blog article. This helped me grasp their requirements much faster and reduced the amount of rework I had to do. It made me realize how useful effective communication is. Overall, I am happy for having done this internship. Not only did I enjoy my work but also got the exposure that our education system doesn’t usually provide. For me, this internship wasn’t for mere online visibility or certification but for my development, both as a professional writer and a travel enthusiast. Of course, it was hard to juggle college and the internship. There were times when I would have rather slept off than look at another piece of information; however, I chose to continue as I knew I had a professional commitment to honour. These internships are useful ways that help you decide your career. For anyone who’s wondering whether to pursue one or not, just go ahead and do it. Pick one, try it out, and give it your best while you’re at it. If you don’t like it, then that’s good too. Now you know what you don’t want to do. That’s as good a start as any! Do you harbour a similar flair for writing as Sanjana? Here are some amazing content writing internships to try out! It is very nice that your blog is providing information regarding the program. I want to aware you towards the “Anheuser Busch Paid Internships 2018-19”. These internship programs are designed to transform students into leaders by providing skills to support personal growth. These internship programs are designed to transform students into leaders by providing skills to support personal growth. In Today’s world, an internship is important because every company want an experienced candidate. very nice article and given links I have submitted lots of sites which you have given. Hello Sanjana, this is nice to read your blog post. I am glad to know that how you got help in following your passion for writing and travelling. Keep it up! Thank you so much for sharing this informative post with us. It’s a very interesting article for me. Until today, i like your point of view. It was a very interesting journey from your college to an internship! Thanks for sharing such a great article with us! This internship is very useful and crucial for getting into data science please try to do this……its free and very informative..!